It’s Time to Start Your Sprinkler System! Spring has arrived in Cincinnati! The flowers will soon be blooming, and lawns are greening up. Before you know it, you’ll need your sprinkler system to keep your lawn and gardens watered. Here are three reasons we recommend hiring a professional to conduct a spring startup for your sprinkler system. To make sure water is being used efficiently. Along with conserving water, a spring start-up will allocate water use, so plants receive the water they need to stay healthy. To identify any problems. An inspection in the spring will find any broken sprinkler heads, broken pipes or leaks that occurred over the winter. Fixing these will keep your sprinkler system from wasting water. To prolong the life of your sprinkler system. You’ve made a big investment in your sprinkler system, and a professional will start it up properly. If the water is turned on too quickly, it could damage the system. How do you know you are getting the right start-up service? During a spring start-up, the technician should inspect the backflow device, slowly pressurize the system mainline, test each zone for operation, adjust sprinklers to cover appropriate areas, clean the spray nozzles for an even spray pattern and check the rain sensor. The technician also might set the basic spring water schedule, raise sprinkler heads that have sunken and straighten any sprinklers that have become crooked. The best time to schedule a spring startup is in early spring. 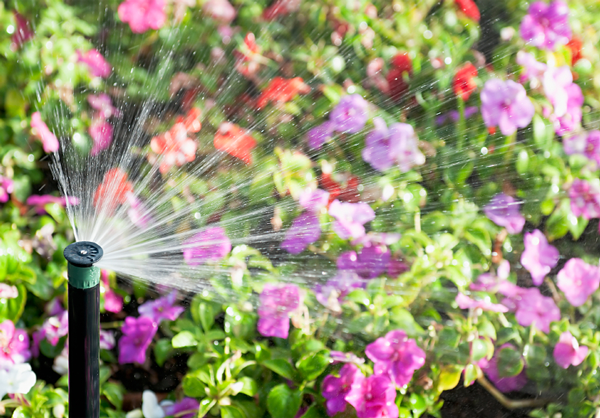 Sprinkler service companies typically perform this service in early April through June. For the most convenient time, it’s best to schedule your appointment well in advance of summer.